The X Factor Australia 2014 Auditions - Erin Miranda. The X Factor Australia 2014 Auditions - Erin Miranda. Views: 25986 | Length: 7.97min | Category: Entertainment. 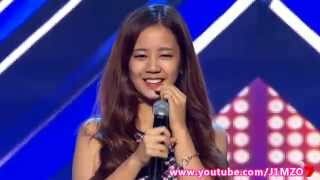 Erin Miranda, 15, sang “And I’m Telling You (I’m Not Going)” by Jennifer Hudson on The X Factor Australia Week 2 of Auditions, July 23, 2014.